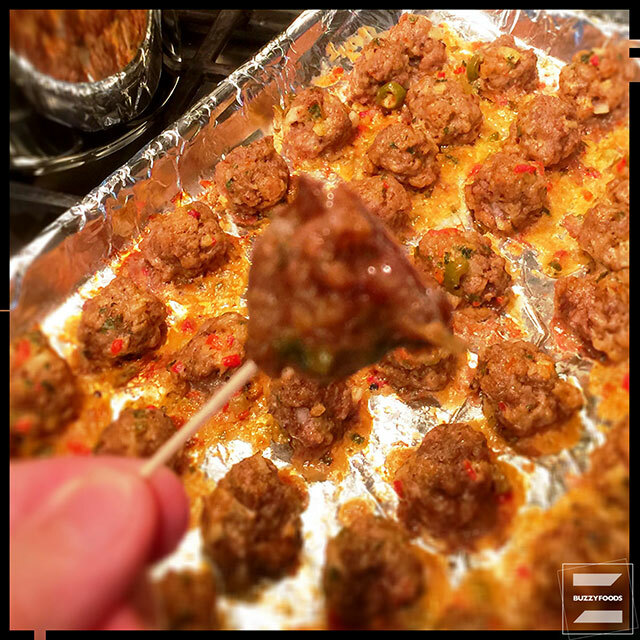 The recipe I came across somewhere on the interwebs sounded very interesting: glaze mini meatballs with thousand island salad dressing before baking, then allow them to cool and serve as an appetizer. Well, let me say this about that: great concept – and not too, too bad a meatball – but the serving cool bit didn’t do it for me; and, while the thousand island glaze was nice, drizzling the cooled cooked meatballs in Sherry Peppers Sauce before a quick ‘wave to reheat was just the ticket! Heat oven to 350º and line a rimmed baking sheet with foil. 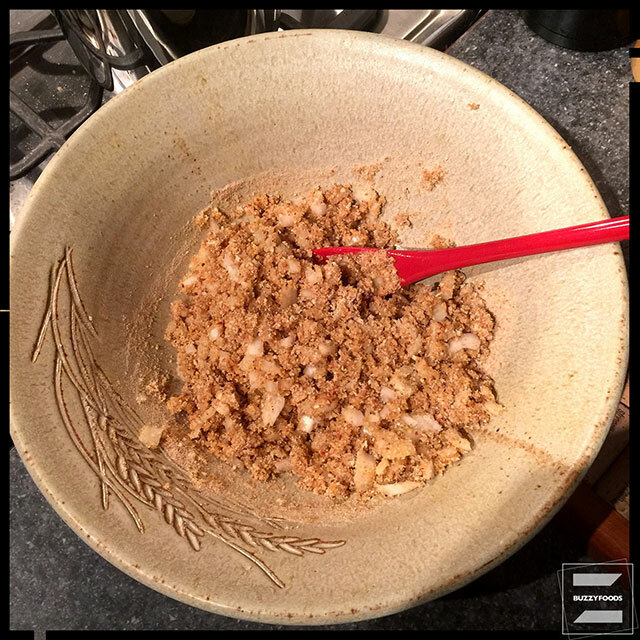 Whisk the eggs together with the salt, black pepper, Aleppo pepper, garlic and onion powders, then add the the onion and the bread crumbs until nicely mixed. Add the ground beef and pork, mixing with your hands until well combined. 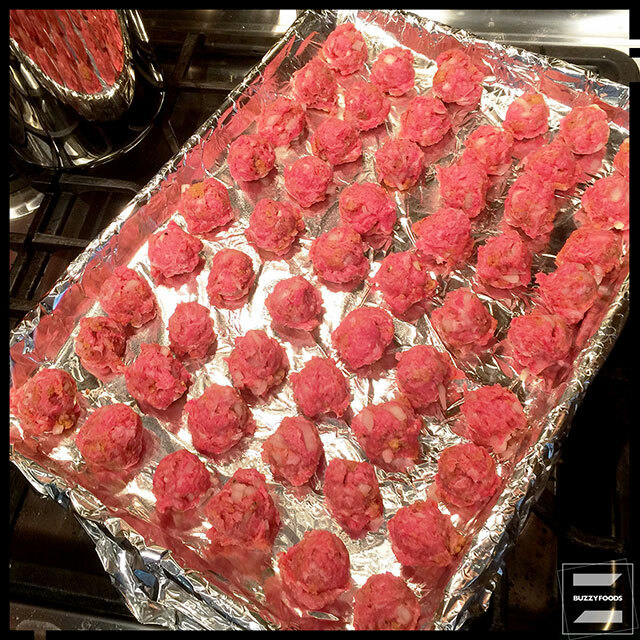 Using a tablespoon measure, scoop into meatballs and arrange on the foil lined baking sheet. Stir the water into the thousand island dressing and brush over the meatballs. 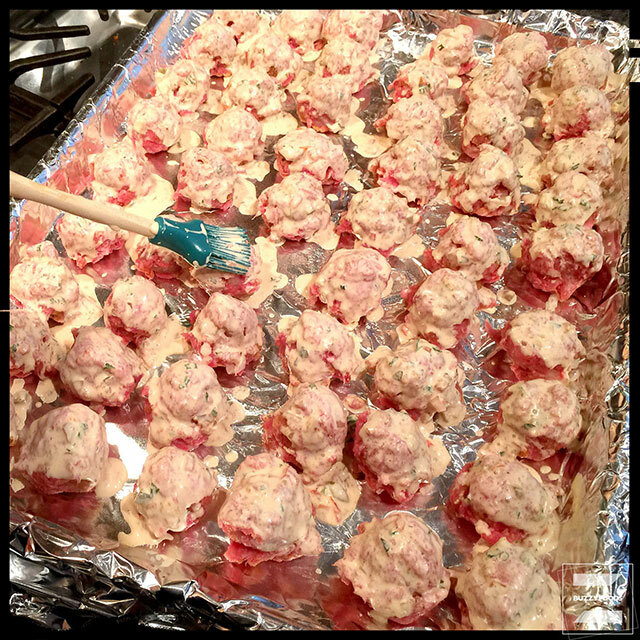 I got 54 meatballs – enough to fill one large baking pan and a bit of the meatball mixture leftover to use in a casserole. Bake for 30 to 40 minutes, until cooked through. Set aside to cool, then give it a taste. Decent flavor and texture, but it needed a little sumpin’ sumpin’ extra; so I arranged some in ‘wave safe baking dish, spooned a bit of Sherry Peppers over the top, and ‘waved for three minutes or so, until heated through, then serve warm. Genius! And oh! so tasty! 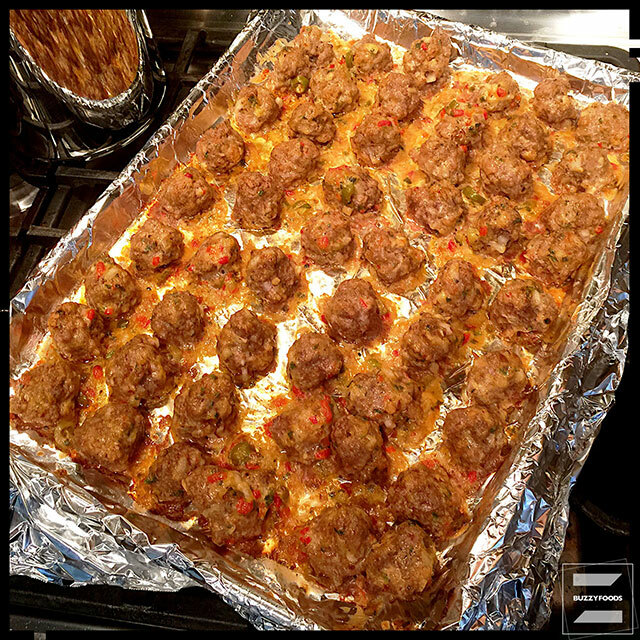 This entry was posted in Appetizers/Munchies, Beef, Pork and tagged appetizers, Bread Crumbs, Egg, Ground beef, Ground Pork, Meatballs, Munchies, onion, thousand island dressing. Bookmark the permalink.